I wore no green, drank no beer and attended no parades in celebration of St. Patrick’s Day. But our friend made corned beef and invited us to dinner Saturday evening and I got a little carried away making some Irish-themed treats to accompany the meal. 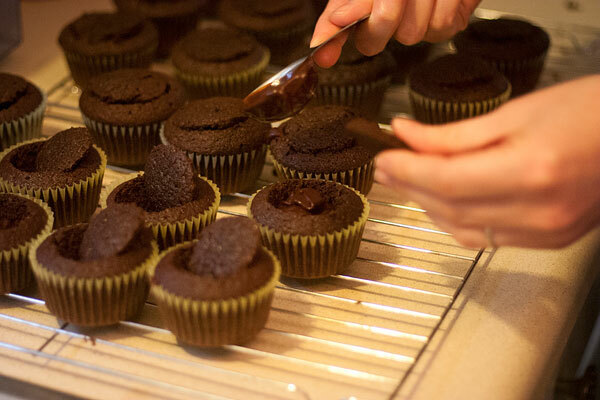 After avoiding sugars, grains and dairy for a few weeks, all of my pent-up desire for baking and hunger for delicious sweets resulted in taking full advantage of the holiday by making some Guinness and Irish Cream Cupcakes. 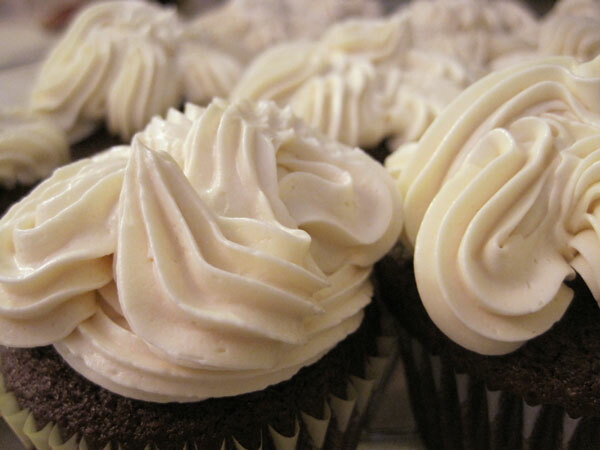 Chocolate Guinness cake filled with chocolate whiskey ganache and topped with Irish Bailey’s Buttercream Frosting. Yeah. 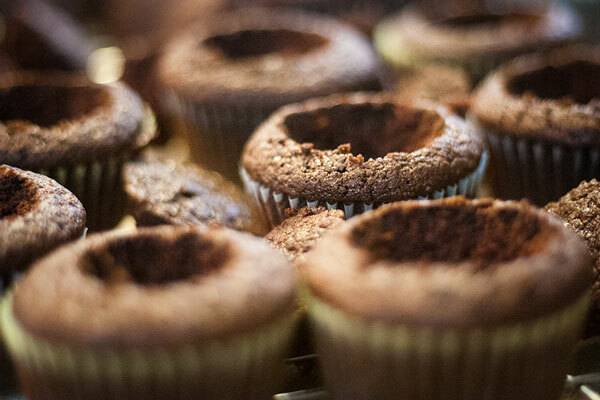 Using the Brown Eyed Baker’s recipe, found here, I made a batch of completely delicious cupcakes that were boozy, but not too boozy. In fact, they were the perfect companion to the homemade Guinness ice cream provided by our host. And better than being delicious, they were fun to make. 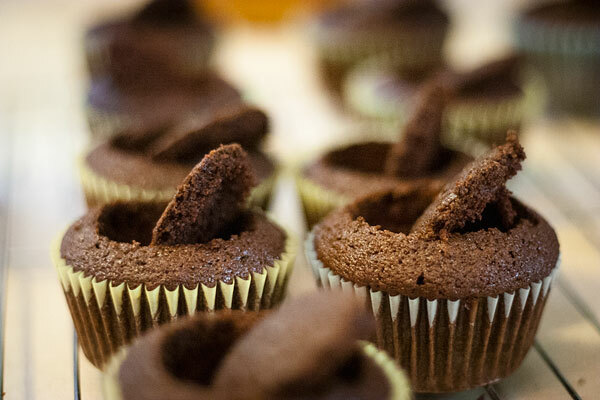 I’d never made filled cupcakes before. For some reason I had a mental block to the level of difficulty I anticipated them to be. But I was wrong. So easy. So good. Now I just have to figure out how to get rid of the rest of the batch because having these in the house is a dangerous thing. Thanks to my accommodating and talented husband for documenting the process as I baked away. The Flying Cupcake could take some lessons from you Claire. These were A-maz-ing. Hurrah! So glad my cupcakes are making the rounds. And even happier that you enjoyed one so. 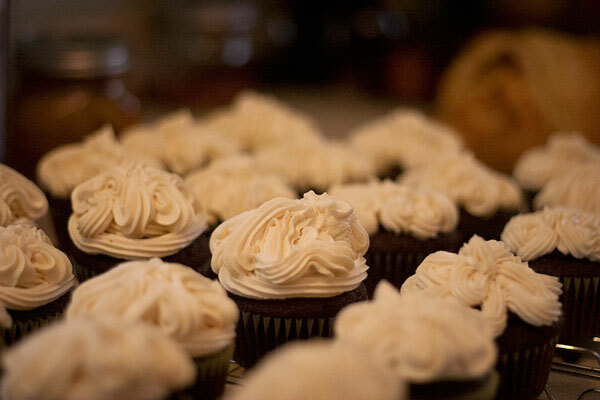 I don’t know what a car bomb is but I’ll take filled cupcakes any day! Half a pint of chilled Guinness with a shot glass filled with 1/2 oz. of Irish whiskey 1/2 oz. of Irish cream dropped in. People chug this, somehow. I kind of think I would sell my soul for a taste of one of these. 🙂 You people do so many more fun things for Paddy’s Day than the real Irish do! Although I can’t say a real Car Bomb is that nice… and when I told Frank about having them once (with filmmakers at the Claddagh during Heartland one year) he was pretty appalled at how freely Americans contaminate their Guinness. Ah well, hahaha! They were completely delicious. And I agree with you on the actual Car Bomb. Blech is the word that comes to mind. What do you do for St. Paddy’s Day?